#4260320 Has anyone ever made a Jaguar gamepad adaptor for the Sega Genesis? #4259287 How Many Jaguar Players/Collectors Do You Think There Are "In The Wild"? #4259117 How Many Jaguar Players/Collectors Do You Think There Are "In The Wild"? #4257489 Any hope for future A+ titles on the Jag at this point? Rayman 2 on the N64 has all of you beat by a pretty significant margin. 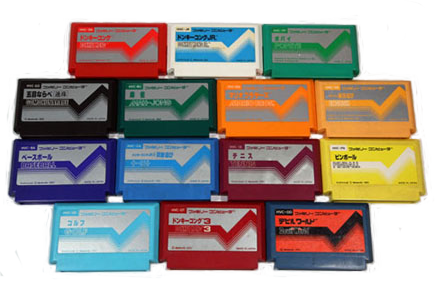 The Famicom bested that by over a decade with TWO shades of green! Must've been a super programmer genius that thought of two different shades of a color!! I think you kids are nuts. I bought my Jags on clearance for 25 bucks, and most of my games came from the same Electronics Boutique and KayBee overstock sales. I love the Jag to death, but spending the money this stuff commands now is insane. I agree, there is no worse time to get into "collecting" for the Jag than today. Well, until tomorrow comes. Then that'll be worse. Of all people on this subforum, I'd have expected you to detect sarcasm when they see one. I'm detecting a lot of something from this thread, but it isn't sarcasm. I think you passed the "rush to release" threshold about 3-4 years ago on this one. And let's not forget the new parts that Best has had manufactured. It's not like he's buying a vacation home in Hawaii with these profits, it is clearly a labor of love. You do know I know how to animate as well right? I imagine that we’ll see something of a correction once SainT releases the JagSD cart. It’s really helped stabilize Lynx game prices for the Atari titles. Hard to say, Everdrives didn't really do much to affect the collectors markets for other consoles. With the Neo Geo prices have only gone up since the release of the SD cart. I do expect console prices to go up though. When are the rabid players eagerly awaiting release gonna get to play this? I think that was delayed due to a poor cherry crop season. Or maybe it was because of a bad muffler on his car or pork belly futures. However, it will most certainly be playable at the next retro gaming con he's paid for that he will 100% attend and not make any excuses for his absence. I hope a juice diet won't delay them either. #4226729 Is a Jaguar port of the Amiga version of "Fantastic Voyage" possible? I would prefer an original turrican with new levels, weapons, etc than a port. Is it too late to get on the list?